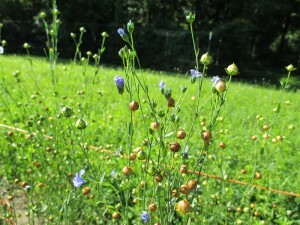 This variety of flax has been bred for it’s fibers which are spun into linen. Of all the fiber crops I have trialed for here in Northern Indiana, Fiber Flax seems the most logical as it is early and prefers a cooler climate. Cotton requires a long hot season and Kenaf grows well here in the North, but does not always produce viable seed before frost. 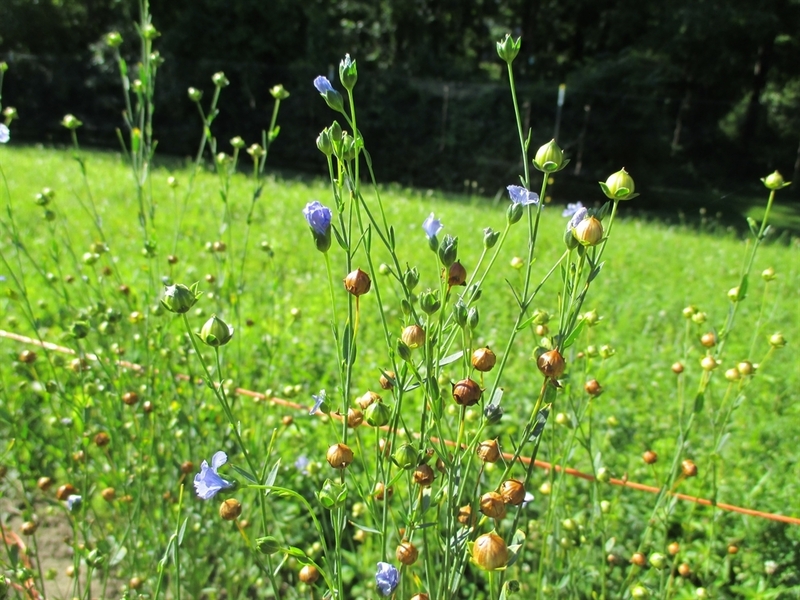 Flax is early maturing (3-31/2 months) and easy to grow. I started my plants indoors on April 17th and transplanted into the garden on May 19th. Harvest was July 31st . With such a quick period of time to maturity (105 days), I am sure flax could be direct seeded in the field. This would solve the volume problem. 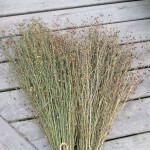 A few flats of flax will yield a small amount of workable fiber and seed. It would be more efficient to plant a large area by broadcasting and raking in. The spacing requirements is 4” and the seed is planted at a depth of 1/2”. 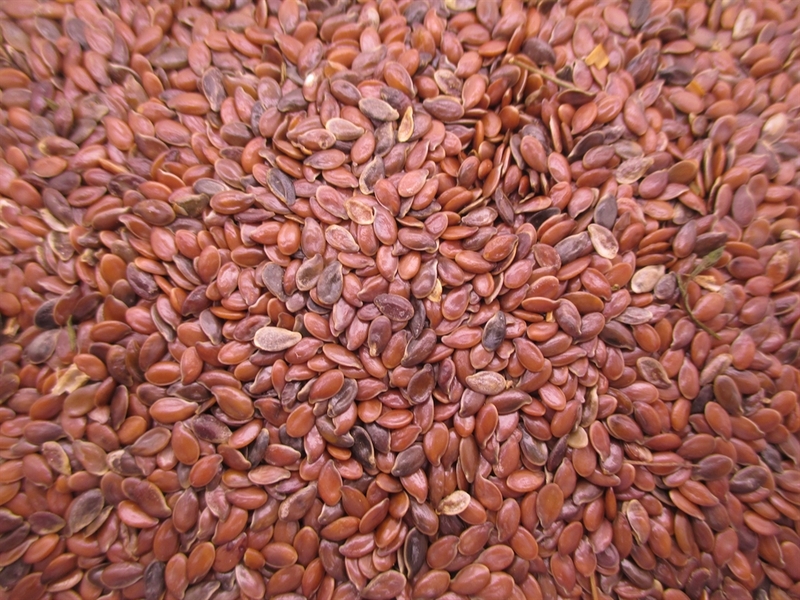 This variety (brown flax) can be consumed the same as the culinary variety (golden flax), making this a great, dual purpose crop. 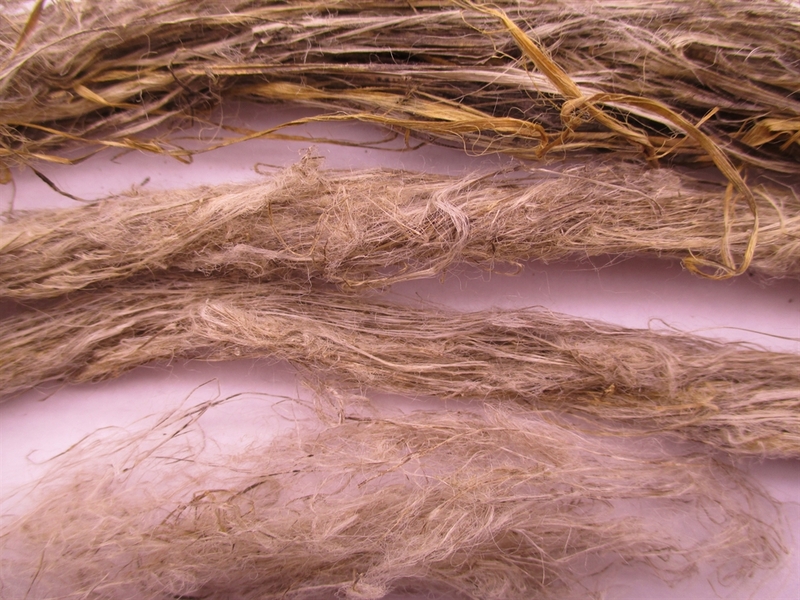 I plan to work with this crop in the future and, if I can find the time, learn how to process the fiber into a usable product. 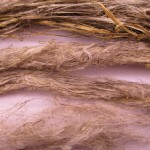 Like Kenaf, this requires retting the stalks and dressing the fibers before spinning. Please let me know when this comes back into stock. 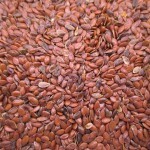 I don’t know if you are still selling flax seed for fiber, but I am interested in finding some to plant. Please let me know if you are still selling the seed. in color than culinary flax. see your post and have a source. I will keep my ears open in the mean time. We saved our fiber plants when we harvested the seed. Currently, holding them in the barn. Only a bundle, maybe 8 inches in diameter when compressed. How many are you seeking?